Custom wheels built for you, using the industries highest quality components. Wheels are assembled with great attention to detail resulting in a high performing, durable wheelset. We ship wheels to the lower 48 states. Using BMC, Focus, and Colnago frames we can custom build a bike to your preferences, including fit, components, and aesthetics. Combine this with custom wheels and you have a bike that is truly yours. 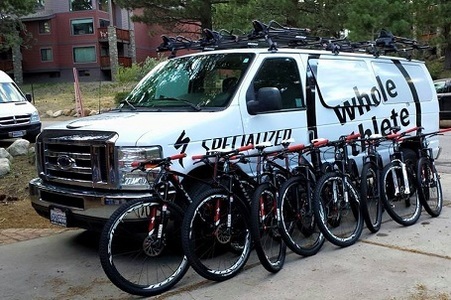 Certified DT Swiss wheel builder, Suspension Technician, United Bicycle Institute Graduate, Mechanic for the Whole Athlete / Specialized mountain bike team, over 12 years experience.